Strong performances in the evening session of Day One at the Youth Olympic Games see McSharry and Coyne progress through to women’s 50m breaststroke final and Nyugyen winning in men’s doubles. 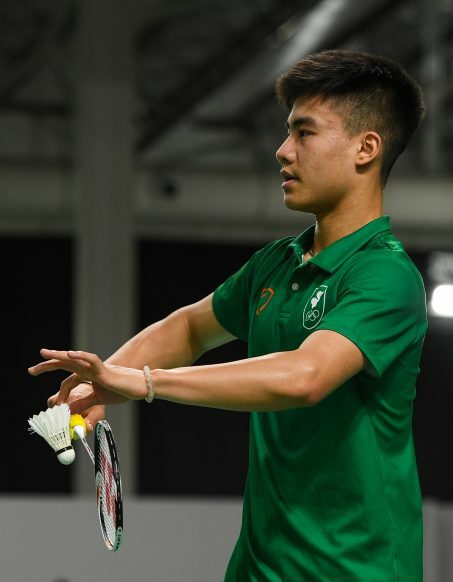 Dublin’s Nhat Nguyen paired with Great Britain’s Christopher Grimley to win in the men’s doubles, and with Hungary’s Vivien Sandorhazi in the mixed doubles. The badminton relays are a new concept for the Youth Olympic Games, with athletes competing in a number of different categories. The format is shorter than normal with the players competing to 11 points. Both Niamh Coyne and Mona McSharry will compete in the finals of the women’s 50m breaststroke, following strong performances in last night’s semi-finals. Coyne moves into the final as fourth fastest qualifier, with a time of 31.80, McSharry is sixth fastest with 32.01. Day two (Monday) of the Youth Olympic Games will see Emma Slevin in action in the women’s vault, while Nhat Nguyen will take to the court once again in the group play stage of the Men’s singles. 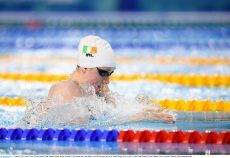 Georgia Drummey will play the first round of the women’s singles with the women’s 50m breaststroke final also taking place with Mona McSharry and Niamh Coyne both taking part.